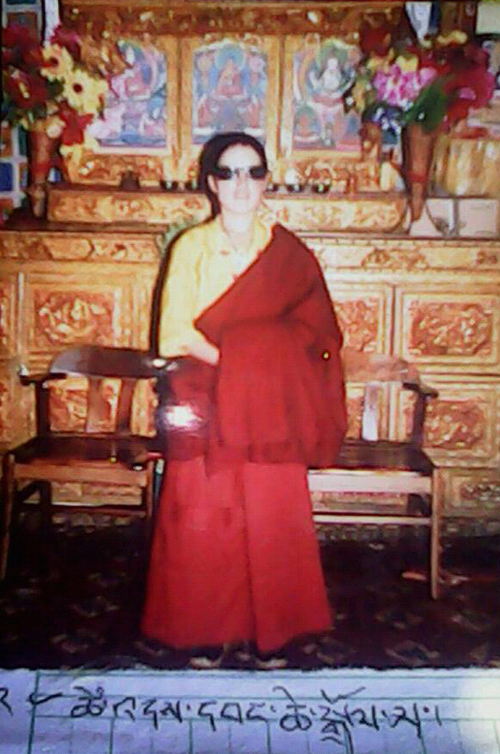 DHARAMSHALA: The Tibetan nun, who self-immolated last Tuesday (11 June) near Nyatso monastery in Tawu county in eastern Tibet’s Kham region, has died. The nun, identified as 31-year-old Wangchen Dolma, succumbed to her burn injuries at a hospital in Dartsedo county on 14 June. The authorities have surreptitiously cremated the body at the hospital. They have also kept the family members of the deceased under house arrest. On the day before of her self-immolation protest, she reportedly advised students of a school in Tawu county to study the Tibetan language well. The name and other details of the nun could not be known in the immediate aftermath of her self-immolation due to severe restrictions imposed on the phone and Internet lines. Wangchen Dolma was born to Tenzin (father) and Youdon (mother) of Gyal Bum Tsang family in Dragthok village in Minyag Drapa region of Tawu County. She was enrolled at a Buddhist institute located on Barshab Dragkar, a sacred hill near her village. This incident has pushed the total self-immolation protests to 119. The self-immolators have called for the return of His Holiness the Dalai Lama to Tibet and freedom for Tibetans. After her protest, all internet lines in Tawu region have been shut down. no further details about her has not reached out.